Although 1929 is officially marked as the start of the Flower parade tradition, history records also mention a Flower parade on September 5th 1898 on the occasion of the inauguration of Queen Wilhelmina. Since 1916 Lichtenvoorde has an annual Flower parade. The first parades were dedicated to another tradition: the king of marksmen (winner of the bird shooting competition). This tradition also is an important part of our annual fair. In 1929 the funfair committee also became responsible for organizing the Flower parade. On September 1st 1939 The Netherlands were at war and all events were forbidden. 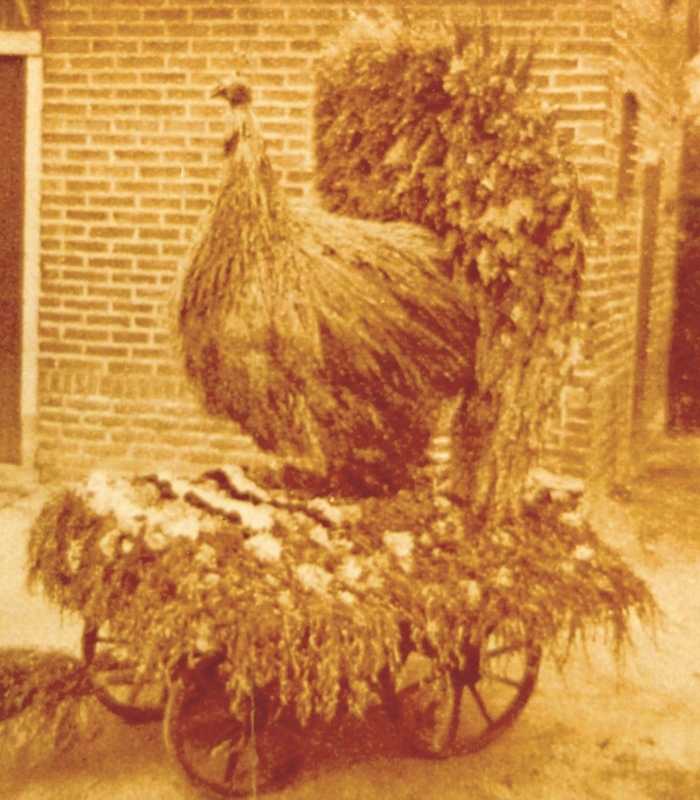 It took until 1945 before the Flower parade drove through Lichtenvoorde’s streets again. That year the Flower parade was marked by the liberation and celebrated with a grand procession. The 50s are characterized by many changes. In the early years bicycles and carts were decorated with Heather plants, flowers and grass sods. In 1957 it stipulates that the floats had to be covered with dahlia’s as much as possible. In the beginning the groups who build the floats went to all the houses and farms to ask if they could pick their dahlia’s. Sometimes they came back at night time to pick the flowers illegal. 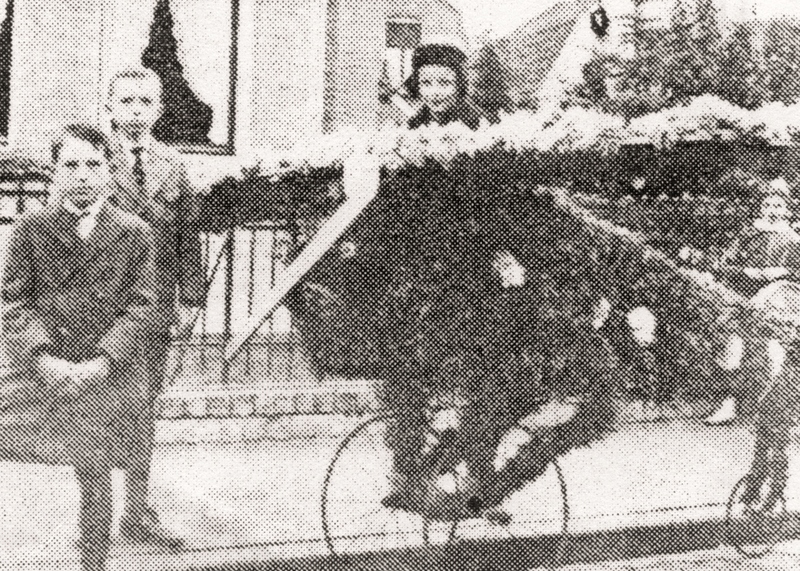 In the course of the 50s and 60s the floats grew in number and size.The Flower parade however was an event focussed on inhabitants of Lichtenvoorde and their entertainment. As prosperity increased visitors from all over the Netherlands were considered as new audience for the parade. In the early 60s the float builders became even more fanatic. As a result there was a boost in the growing of dahlia’s. Everywhere in the area Flower parades were held and the demand for flowers grew. In the early 70s the parade received municipal subsidy, which stimulated the growth even more. The number of building groups grew and the demand for dahlia’s grew even more. In 1973 a flower committee was founded in order to provide the groups with sufficient flowers. This committee started barter with other counties such as Zundert and Winterswijk. In the 70s a large public relations campaign was started in order to attract more public attention. The 80s are characterized by the record number of participants that increased up to 28 by 1982. Also the number of visitors grew in the 80's from 40,000 in the early 80s up to 70,000 by the end of the 80s. Some regional newspapers even mentioned over 80.000-90.000 visitors. According to insiders this was an unlikely high number of visitors. The enormous growth also had a downside, a few groups could not keep up and decided to stop. 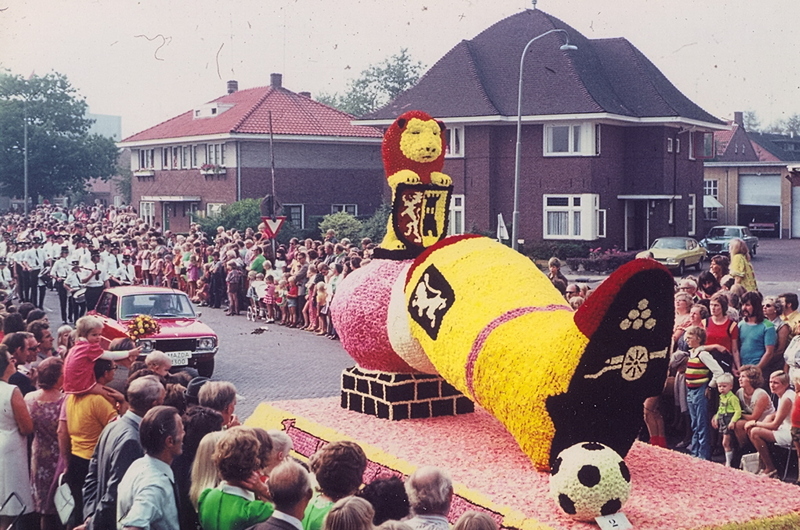 Between 1990 and 2004 Lichtenvoorde’s Flower parade made an enormous development. The parade of mostly static floats changed over these years in a very dynamic one. The show bands gave the parade new charm and caused an increase in the number of spectators. A new jury- and exhibition area made it possible for the parade to make a flanking movement. Since 2000 it is allowed to add figuration to the float that is functional to the subject. This has made the parade even more dynamic. There is a special jury and prize for ‘best figuration’.